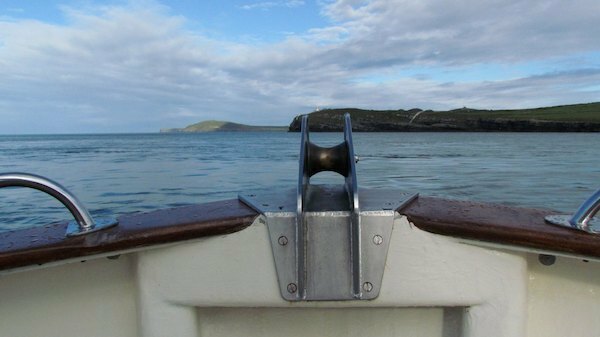 Our custom built passenger vessel, Draíocht, was beautifully designed and built for us by Kingfisher Boats in Cornwall. 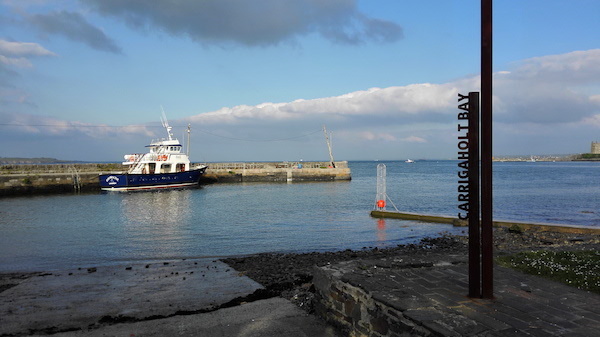 She was launched in Carrigaholt in 2000. 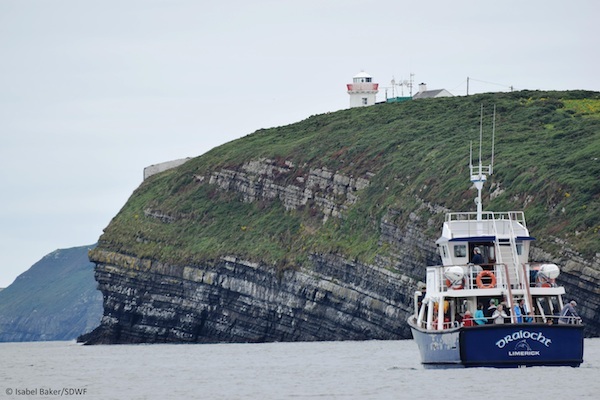 The name Draíocht means “Magic” in the Irish language and she certainly lives up to her name. 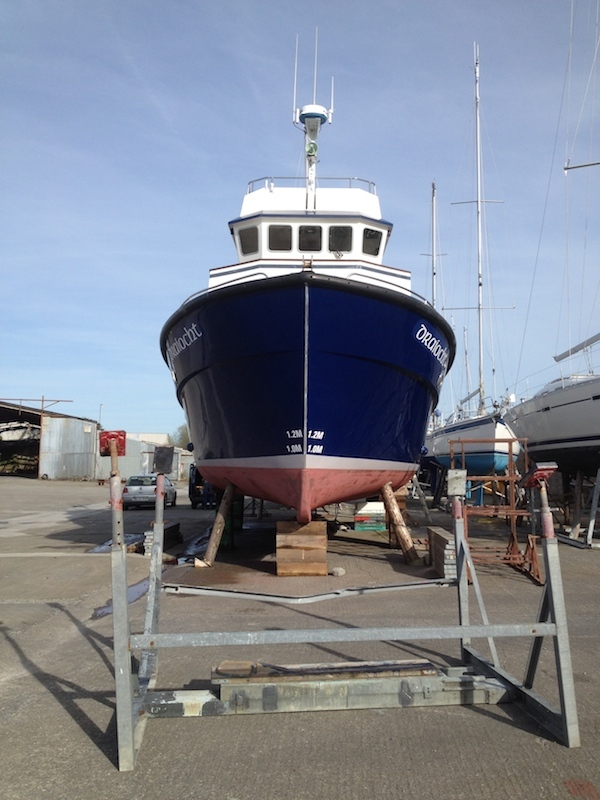 The classic design of this 15 m. vessel is all about passenger viewing, comfort and safety. We are licensed to take 50 people, including crew, but even when the boat is full, it never feels crowded. There is a cabin for warming up and getting a hot drink from the “Sea-Air Café” and, of course, there is an electric toilet or “head”. 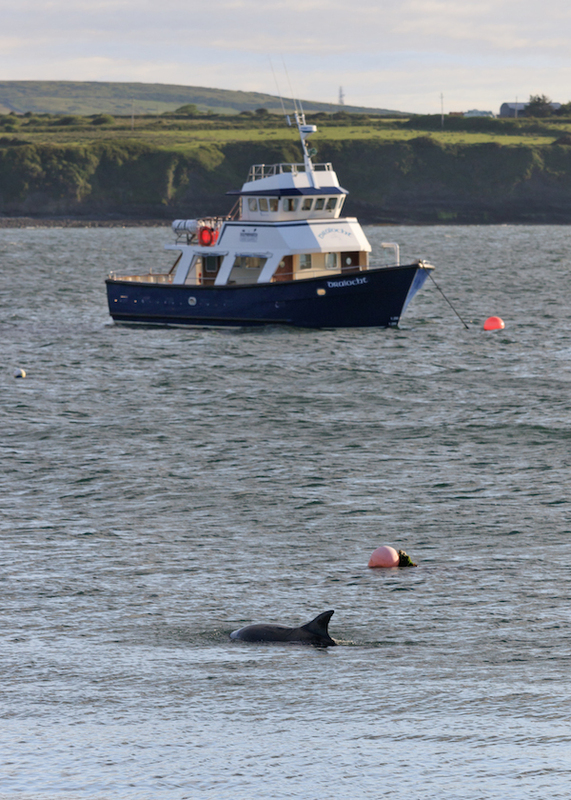 The bow area allows for incredible viewing, especially when the dolphins are bow riding. Remember to look down into the water for an up close and personal encounter with a dolphin! There are open walkways for all around viewable access to scenery and wildlife with a rear seating area for relaxing and sitting comfortably, or enjoying your picnic. We cannot guarantee that you won’t get sea sick, as some people are affected by the movement on a boat. 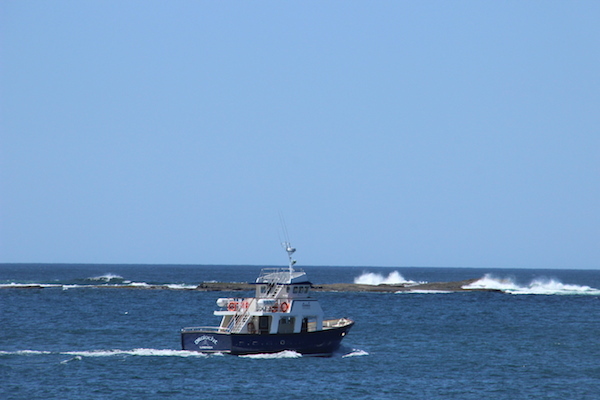 However, the Captain does his best to avoid roll-y sea conditions and with a Class VI Certificate from the Department of Transport, surveyed each year to the highest standard, you can be assured that you will be travelling on the best boat on the coast for meticulous maintenance.